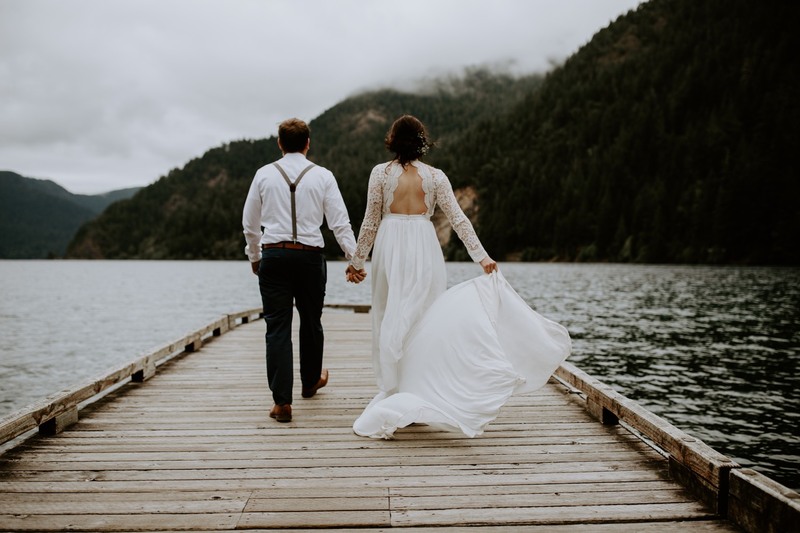 Randie and Shawn traveled to Washington over the fourth of July weekend to have their Olympic National Park elopement. This is the first time that these two have ever stepped foot into the state of Washington….crazy! The night before their ceremony, they went off to find the perfect location. One thing these two wanted for their ceremony were large trees, a wooded area. They found it! A short walk up a path, over a ridge to a flat wooded area held their intimate ceremony. With their closest friends and family looking on, these two read their vows and expressed their love to each other. After the ceremony concluded, the three of us went to explore what Washington has to offer. We hiked up to a beautiful waterfall where we started our adventure. We then followed up with a walk with giant ferns and HUGE trees that we had to photograph. We spent a good 2+ hours exploring the woods, getting bit by mosquitos and capturing these two amazing humans and the love they have for each other.